Iran, the world’s top country in handmade carpet trade, annually exports 65% of its carpets to more than 80 countries. The Islamic Republic is the world’s largest producer and exporter of handmade carpets, producing three quarters of the world’s total output. However, Iranian carpets have recently come under fierce competition from other countries producing fakes of the original Persian designs as well as genuine cheaper substitutes. 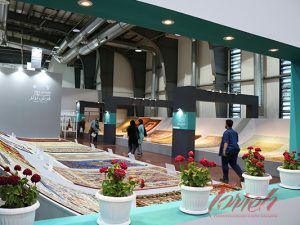 From August 23 to 29, Tehran played host to the 26th Iran Handmade Carpet Exhibition – the biggest of its kind worldwide – gathering over 700 companies and dozens of carpet traders from around the world. 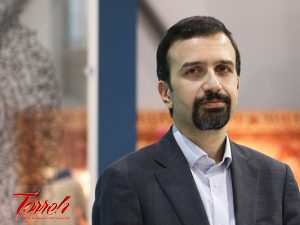 On the sidelines of the event, Iran Front Page conducted an exclusive interview with Hamid Kargar, the head of the Iran National Carpet Centre. 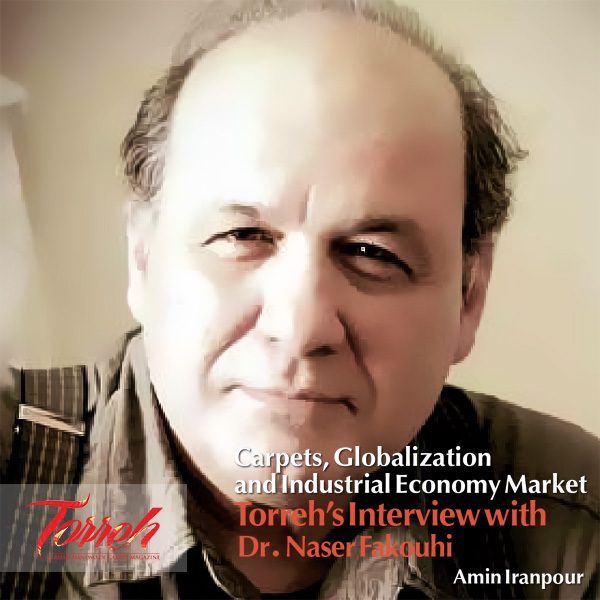 In this interview, Kargar has talked about the current state of Iran’s handwoven carpet business and the features that make the Iranian carpets unique. 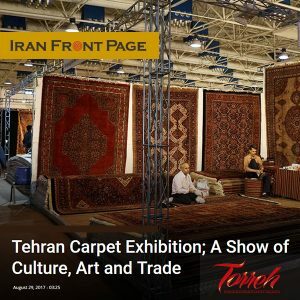 First, let’s talk about the national handmade carpet exhibition in Tehran. Can you tell us more about this edition? 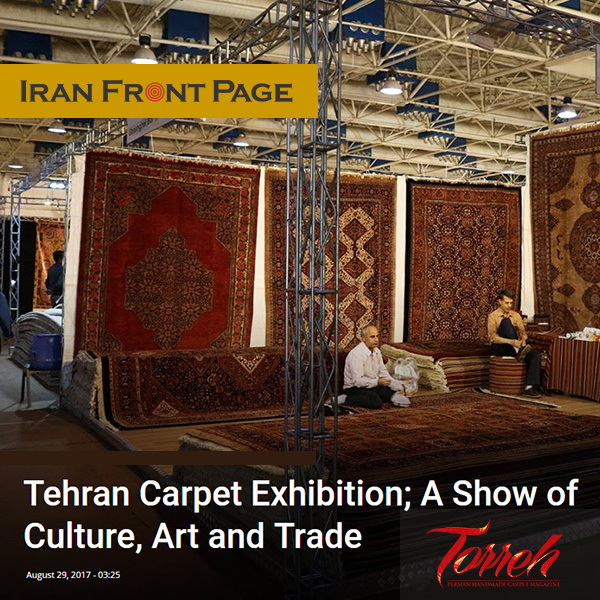 What is the significance and position of Tehran Carpet Exhibition? This year the 26th edition of Iran’s Handmade Carpet Exhibition was held with the participation of about 730 companies, including producers and suppliers from across the country. This means that the exhibition has been around for a quarter of a century. 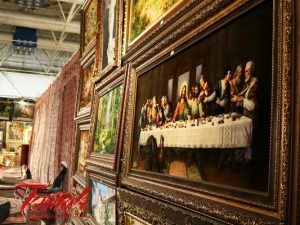 In no other time or place in the world can you find an exhibition that hosts such number of participants and offers the purely Iranian hand-woven carpets. 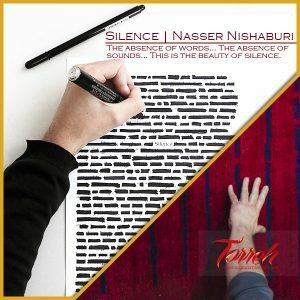 How do you assess the presence of non-Iranian visitors at this year’s exhibition? 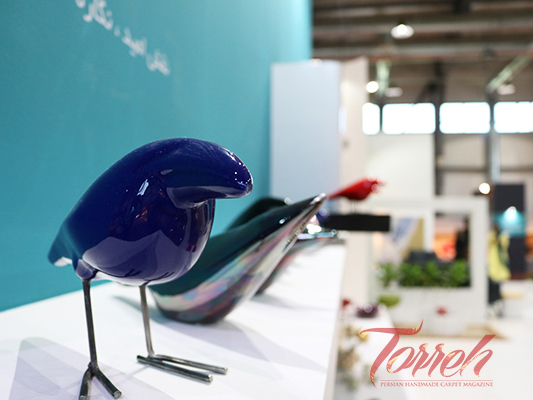 A large number of foreign visitors, including buyers or regular visitors are visiting the fair. We were hosting ambassadors of different countries and merchants and managers of the shops who sell handmade carpets in different countries. This year, more than 90 foreign businessmen took part in the 26th exhibition, with the United States and Japan, each with 14 businessmen, at the top. What is your assessment of the overall state of Iran’s handmade carpet production and trade? Usually about two-thirds of Iran’s annual production of carpets are exported, and one-third is sold in the domestic markets. This domestically-used carpets also often end up being exported, as some of Iran’s export-oriented carpet merchants are the customers of Iranian second-hand rugs. Generally, Iran exports about $300 million worth of carpets per year to around 80 countries worldwide; however, the figure has experienced ups and downs in different years. For example, last year Iran exported $359 million worth of handmade carpets to its target markets. 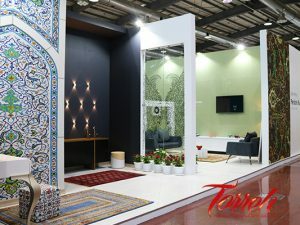 The target markets of the Iranian carpets are diverse with different tastes and needs. Some of these markets are traditional ones that have long been familiar with Iranian carpets, and in other words, carpets are part of their culture and lifestyle. These countries include the US or most of European countries, some Arab states, or countries in East Asia like Japan. These are the traditional target markets of Iranian carpets. Some other markets, however, have become the customers of our carpets in recent years. For example, Brazil in Latin America, and Russia and China in Asia. What is the main feature that distinguishes Iranian carpets from those produced in other countries? Iranian carpets have outstanding features and a lot of advantages in comparison to the rest of the rug-producing countries. One of these features is history. The rich history of Iran’s handmade carpet production dates back to more than 2,500 years ago. 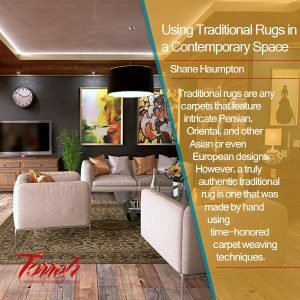 Throughout the history, we have produced carpets in all periods of time, while other countries do not have such a history. Where can we see the reflection of such history? We can see the traces of this history in many aspects. Considering the weaving style, we have different styles of weaving carpets. We also have different types of knots, and natural colours that are produced in different regions of Iran. We have a variety of colours that are exactly that of our mountainous regions, but these colours are very different in desert areas. We do have different sizes. We even have a variety of usages. Carpets are used as saddlebags, saltshakers, pillows, curtains, floorings and decorations on the wall. In fact, throughout the history, the Iranian hand-woven carpets have been part of Iranian subcultures including our tribes, nomads, cities and it has led to very high diversity. On the other hand, the Iranian handmade carpet has a very high quality, which is not comparable to any of our rival countries. By quality, I mean the optimal use of raw materials in production of handmade carpets. This means the quality of the fibres or the natural colours and even the style or design of the rugs. Besides, it’s more than two decades that university students in Iran can major in handmade carpets and receive an academic degree in this field. This also helps us very much. Moreover, some samples of Iranian carpets could be found in different international museums that represent the Iranian art and culture. These are the features that our rival countries are deprived of. Their only advantage could be their lower price because they offer carpets that are less expensive than Iranian ones. Who are our main rivals and what are the main challenges faced by the Iranian carpet? 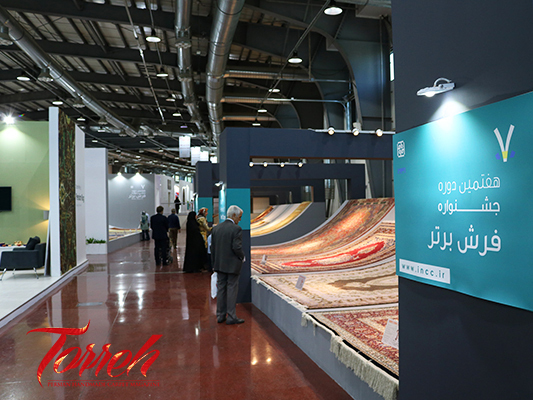 Iran still holds the first rank in the global carpet business despite all the ups and downs and the decline in our exports in the recent decade, which was caused by various internal and external factors. India and Pakistan are closely following Iran in the world ranking. Other countries, including Afghanistan, Turkey, Nepal, and China have had variable positions and ranks in different years. There are also countries with very little shares. Has the nuclear deal between Tehran and world powers improved the export of Iranian carpets? The United States annually imports almost $200 million worth of carpets and is the world’s top carpet importing country. It used to be Iran’s top customer, importing $80 million worth of handmade carpets directly from Iran. However, the import of Iranian carpets to the US was banned in 2010, and Iran’s carpet exports to the US was totally stopped due to sanctions. In that year, carpet exports to the US accounted for over 16% of Iran’s total exports, but the figure suddenly decreased to zero. The nuclear deal, with its Article 22 which explicitly mentioned the removal of sanctions against Iranian carpets, helped us resume our carpet exports to the US as of January 2016. From March 2016 to March 2017, we exported $90 million worth of carpets directly to the US. That means even more than the year leading to the sanctions. What measures have been taken to protect the copyright of Iranian carpets? We have taken several measures to safeguard the rights of artwork creators in the field of handmade carpets. For instance, we have prepared the grounds for granting patents to designers of Iranian carpet plans and designs. The patents are registered by the Ministry of Culture in cooperation with the Iran National Carpet Centre. We have further registered as national heritage the Iranian handmade carpets in various geographical areas. 47 areas have also been internationally registered, among which 29 areas were registered during the past 4 years in cooperation with the WIPO – World Intellectual Property Organization. This is a deterrent against the rivals’ fake versions and possible manipulations of Iran’s carpet heritage. Meanwhile, the UNESCO’s registration of carpet-weaving skill in Fars province and Kashan are among other developments in this field. Have we had any technological accomplishment in this industry? Not in production, because our trump card and advantage is the handmade and artistic nature of our carpets. You can never find two Iranian products that are exactly similar to each other. However, we are using up-to-date technologies in other fields like designing, colouring, raw materials, and production of carpets resistant to stain, bacteria, etc. Have we developed these technologies ourselves? Yes, all these technologies are home-grown. How do you evaluate our presence in international exhibitions? Those involved in Iran’s carpet industry have long been participating in international events as the country holds the world’s first rank in this field. 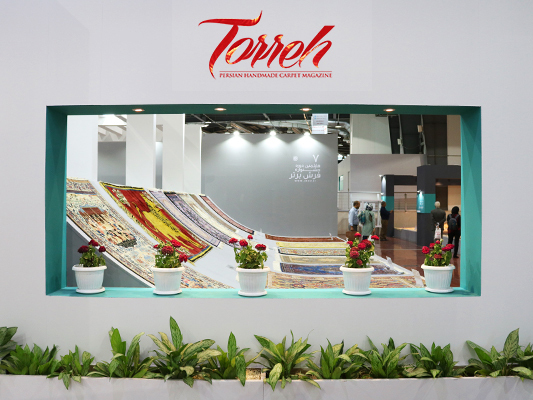 However, part of these participations has been arranged by the Iran National Carpet Centre. We have taken part in this year’s international fairs like the one held in China, and will participate in the upcoming events in Italy, Lebanon, and Russia. 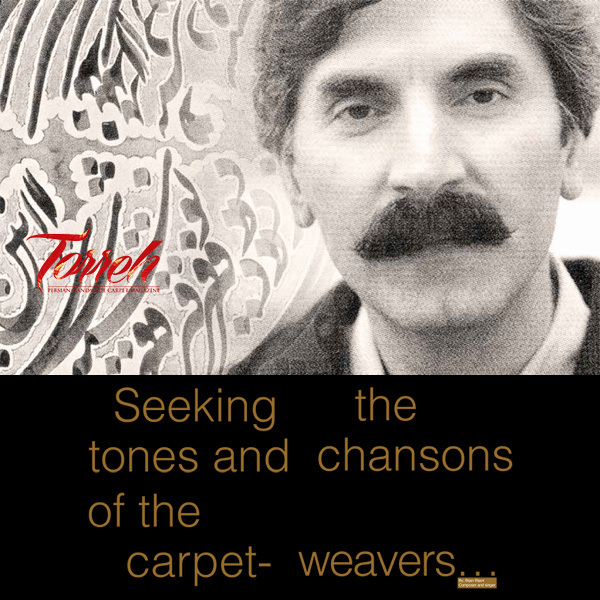 What do you think is the main prospect of Iran’s handwoven carpet in future? The expansion of our exports and further reliance on various aspects of the culture and art of Iranian carpet.